After a successful first season, ‘The Kominsky Method’ is making its way back to the small screen. Starring Michael Douglas and Alan Arkin, the series has been created by Chuck Lorre. Celebrations are in order for fans of ‘The Kominsky Method’. Indeed, the series which stars Michael Douglas has been renewed for a second season. Filming for eight episodes is projected to begin soon. First aired last November, the show was met with mostly positive reviews as well as several accolades including two Golden Globes. 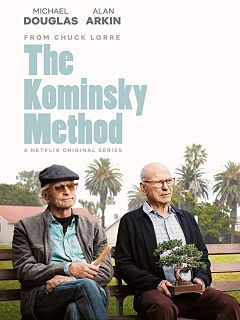 The storyline of the serial ‘The Kominsky Method’ centres on two elderly friends who live in Los Angeles. Sandy Kominsky is a former actor played by Michael Douglas. He is joined by Alan Arkin who plays Norman Newlander. Together they navigate through life in a city which focuses on youth and beauty. Reprising her role in ‘The Kominsky Method’ alongside Michael Douglas is Sarah Baker. She portrays the main protagonist’s daughter, Mindy. She has previously appeared in ‘Louie’ and ‘Go On’. Nancy Travis is also returning to the main cast. She plays Lisa, one of Sandy’s students. Additional actors include Lisa Edelstein, Danny DeVito and Susan Sullivan. Additionally, the success of ‘The Kominsky Method’ with Michael Douglas can be attributed to Chuck Lorre. He is also responsible for other popular shows such as ‘The Big Bang Theory’, Young Sheldon’ and ‘Mom’.